”It was the winter of war, in 1939. One’s work stood still, it felt completely pointless to try to create pictures. The words are from the foreword of Tove Jansson’s ”The Moomins and the great flood. Winter of war feels all too familiar to us. The people of today also need fairytales and stories beginning with ”Once upon a time”. This book has it all. 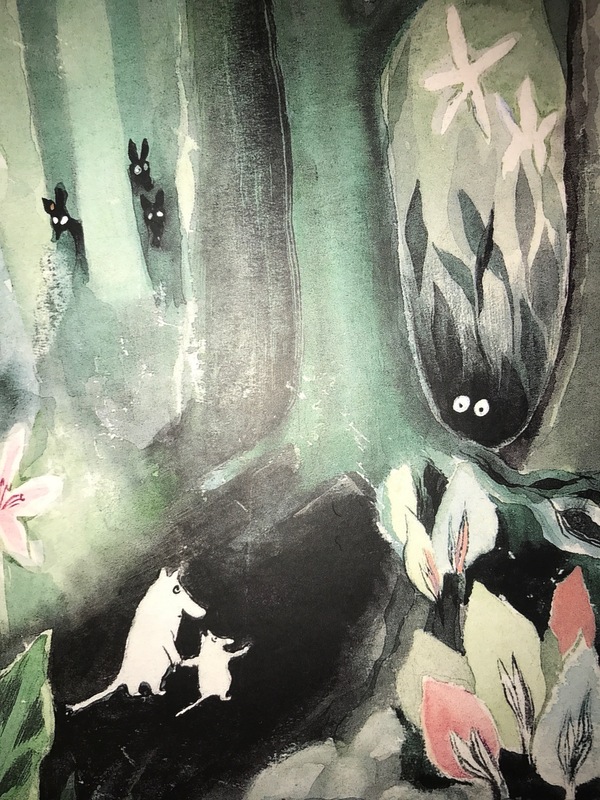 If you love the fantasy world created by Tove Jansson, this is the beginning. We get to know the bohemian family and the world they live in. We also hear the names of the creatures that we’ve all come to love. The story feels a bit uncertain like the author hasn’t really found her true voice yet. But the warm and loving environment is there even though the characters encounter obstacles on their trip. If you’ve ever wondered why Moomins live in tower like houses, you’ll learn it in this book.